A timeline for grantmakers interested in supporting a fair and accurate 2020 Census. All around the country, philanthropy is mobilizing to ensure a fair and accurate 2020 Census. 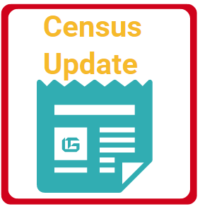 Organized By: Redistricting Reform Project The Census Bureau has proposed the addition of a Citizenship Status Question to the 2020 Census and indicated that data will be included in the transfer of census counts to states for the purposes of redistricting. Unprecedented: More than 300 U.S. philanthropic leaders call for removal of citizenship question from 2020 census National, state and local philanthropies across 38 states and District of Columbia join in unanimous opposition; more than 30 philanthropy-serving organizations also speak out Contact: Gary Bass, 202/328-2040, gbass@baumanfoundation.org WASHINGTON — Reflecting an unprecedented consensus in philanthropy from local foundations to national grantmaking organizations, 304 philanthropic leaders have called on the Trump administration to withdraw a citizenship question from the 2020 census. What Funders Need to Know About Census 2020 Operations Tuesday, June 5th at 3pm-4pm ET | 2pm-3pm CT | 1pm-2pm MT | 12pm-1pm PT Census 2020 is less than two years away; the time to act is now! We are now less than two years away from “Census Day,” April 1st, 2020! Emergency Briefing on Adding Citizenship Question to the 2020 Census On March 26, at around 9 pm, Commerce Secretary Wilbur Ross announced his decision to add a citizenship question to the 2020 decennial census, in response to a request from the Department of Justice. This one-pager is a portable, printable version of the FCI webpage complete with contact information for the working group co-chairs and FCCP staff. Share it with your colleagues! 2018 is a pivotal year on the road to the 2020 Census. Early field preparations have started; the ‘dress rehearsal’ will take place in Providence County, RI; and the Census Bureau must finalize counting methods and develop a multi-faceted communications plan. As the pace of census activities accelerates, we recap the major policy issues to watch in the coming months. Census 2020 Menu of Options for Funders: Participate. Convene. Invest. All around the country, philanthropy is mobilizing to ensure a fair and accurate census 2020.